One of the most original artists to have emerged from New Zealand, Len Lye (1901--1980) had a passion for movement from an early age. This fascination shaped his urgent and pioneering films and kinetic sculptures and contributed to his remarkable work in painting, photography and writing. Lye had a big idea - that movement could be the basis for a completely new kind of art - and he devoted much of his life to it. ‘Kinetic art is the first new category of art since pre-history,’ he boldly claimed in 1964. What did he mean by this? And how does his work in film and sculpture bear it out? Roger Horrocks, author of the best-selling and critically acclaimed 2001 biography of Lye, makes a powerful case for the artist’s originality and the relevance of his ideas today. Lye’s ‘big idea’ illuminates not only his own work but the ‘mystery of movement’ in all forms of art - from dance to film - and in our own lives. Here Horrocks traces these connections and tells us much that is new about Lye, including behind-the-scenes information about how the artist dreamed up and applied his new methods of film-making and created his kinetic sculptures. He also covers the remarkable story of how Lye’s unfinished projects are being built in New Zealand today and the controversy this has sometimes aroused. 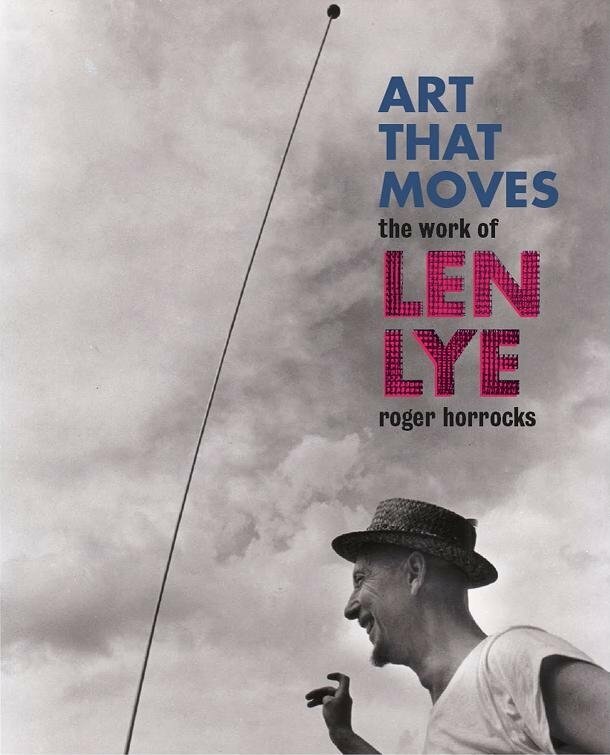 Appropriately for a book about movement, Art that Moves includes a DVD with four of Lye’s best films, plus some superb footage (directed by Shirley Horrocks) of his sculpture in action. It also contains a new eighteen-minute film directed by Roger Horrocks, a dramatic portrait of Lye in his early years. Roger Horrocks, who worked as Len Lye’s assistant during the last year of the artist’s life, is considered the leading commentator on his life and work. His biography of the artist was a finalist in the 2002 Montana New Zealand Book Awards and praised both for its depth of research and its lively, accessible style. Horrocks has also edited or co-edited three books of Lye’s writings and a book of essays about the artist published by the Centre Pompidou in Paris. Now an emeritus professor, Roger Horrocks was the founder and for many years head of the Department of Film, Television and Media Studies at the University of Auckland. He has been involved in many aspects of film and television and in 2004 was made a Member of the New Zealand Order of Merit (MNZM) for his contributions to those industries and to media education. He is a director of Point of View Productions with his wife, Shirley Horrocks, an award-winning film-maker. Shirley produced the film Art that Moves and directed the striking footage of Lye’s sculpture on the DVD.